For performing your marriage ceremony in traditional Hindu style, for people from all religions of India in Sanskrit, Hindi, Gujrati or English contact Mr. Vinod Dave. 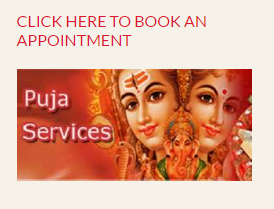 Mr. Dave will also perform Satyanaryan Puja (for peace, prosperity, health and happiness), Griha Pravesh (when buying a new home or business), Havan and Shantipath ceremonies, Funeral and Shraddha services. Hindu Marriage Ceremony. Hindu Funeral Services. Hindu Shraddha Services. For performing your marriage ceremony in traditional Hindu style, for people from all religions of India in Sanskrit, Hindi, Gujrati or English contact Mr. Vinod Dave. Mr. Dave will also perform Satyanaryan Puja (for peace, prosperity, health and happiness), Griha Pravesh (when buying a new home or business), Havan and Shantipath ceremonies, Funeral and Shraddha services. Hindu Marriage Ceremony. Hindu Funeral Services. Hindu Shraddha Services. Copyright © 2018 Pandit Vinod Dave All rights reserved.